Jon Griffin, LTA Level 4 is our Head Coach and also the Cumbria County Boys Coach. He oversees the entire coaching operation in the `South Lakes’ area and has vast experience of coaching, specialising in performance, talent identification and development of talent. Jon has elite training squads which are based at Heversham and his players boast over a 100 County titles, 30+ Regional titles and over the years he has coach many players to National level. Two of his players in recent years have received scholarships to US Universities and many of his ex players are now successful coaches. 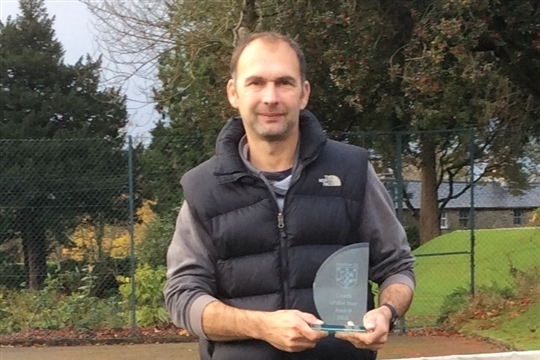 Jon was voted Cumbria Coach of the Year in 2016 and has won many awards over the years. See here for more details. See Sessions Page above for more information.